One of the most thoroughly inspected aspects of a covered structure on a commercial property is the roofing system. This is in part due to the fact that failure of the roofing system can allow water penetration into the interior of the building causing substantial damage to the interiors and other systems within the building. Roofing systems have varying yet always limited life cycles and are constantly subjected to the harshness of the elements including ultraviolet rays and acid rain and snow loads in addition to many other forces of nature. Some roofing systems such as inexpensive rolled asphalt products may last as little as eight to ten years before requiring replacement. While some roofing systems such as heavy gauge welded seam metal roofing may last 50 to 70 years or longer. The true age of any roof or system is the combination of the published industry and manufacturer recommended service life in conjunction with the exposure and care a roof has received. 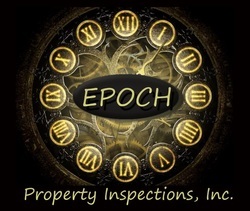 The inspector and reviewer conducting a commercial property inspection or property condition assessment should always consider not only the type of roof and the age of the roof, but the specific materials utilized as well as the climate and orientation and exposure of the roof surfaces. As with any building system commonly found on a commercial property routine inspection and condition assessment followed by application of proper maintenance materials and techniques is of utmost importance in ensuring the longevity of any roofing system. Examples: roofing materials, underlayment, rigid insulation, fasteners, fully adhered, modified bituminous, TPO, EPDM, single membrane, built-up, hot moped, parapet, coping, flashing, penetrations.